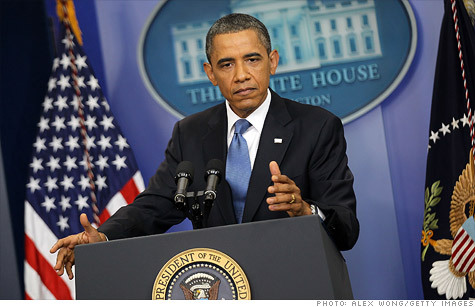 President Obama asked agencies to eliminate outdated rules and regulations. WASHINGTON (CNNMoney) -- President Obama's budget office on Tuesday released its list of unneeded rules that will be rubbed off the books to save business some $10 billion over the next five years. The move is Obama's big nod to Big Business, and part of an ongoing effort by the White House to address complaints lobbed by industry groups and Republicans -- that bureaucratic red tape and new rules have been putting a crunch on job creation. Cass Sunstein, administrator of the Office of Information and Regulatory Affairs, said that 26 agencies submitted more than 500 rules whose deletion either saves money or reduces red tape for businesses. However, Sunstein said Tuesday's announcement is significant because of its breadth and depth. "We haven't had in history this kind of sustained, presidentially driven requirement for a look back" on rules on the books, Sunstein said. -- More patients with Medicare or Medicaid living in rural areas will get treatment by doctors through the use of so-called "telemedicine" -- treatment with the help of high-speed Internet resources. The move will allow doctors to diagnose patients at far-flung hospitals without forcing doctors to go through the process of getting credentialed at each far-flung hospital and will save hospitals $13.6 million, according to the White House. -- New applicants for federal benefit programs such as Social Security will have to get their benefits through electronic payments, such as on a debit card or direct deposit to a bank accoun. The move that will save Treasury $120 million each year by eliminating paper checks. Existing beneficiaries will have to also make the switch by March 2013. -- Some 60,000 contractors with the Department of Defense will get paid faster, using a system to speed up pay to all small businesses that was formerly used only for disadvantaged businesses. The White House's plans drew tepid response from industry groups that have been complaining about new rules implementing expanded health care coverage, Wall Street reform and improved air quality standards. "The results of this lookback will not have a material impact on the real regulatory burdens facing businesses today," said Bill Kovacs, a senior vice president at the U.S. Chamber of Commerce. But Sunstein pushed back on such accusations that the administration is costing businesses, saying that if $10 billion in savings is a "drop in the bucket, I'd really like to see that bucket." Sunstein pointed out that the Office of Budget Management has estimated the cost of "economically significant" rules as higher during the Bush administration's tenure in 2007 and 2008 than during the first two years of the Obama administration in 2009 and 2010. However, most of the new legislation Congress passed, such as health care and Wall Street reforms -- which will usher in thousands of new rules -- just started going into effect in 2011. "We are implementing Dodd-Frank and we are implanting health care. And we're doing both in a way attuned to the burden minimization and cost reduction," Sunstein said.